Earlier this month, developers Ellis Partners and Intercontinental Real Estate Corporation and the City celebrated the groundbreaking for a new office tower at 1100 Broadway. 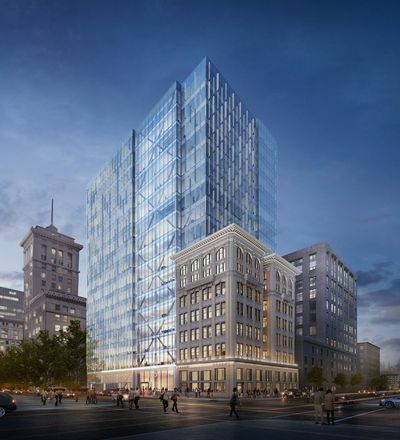 The new, LEED-certified tower project will also include the restoration of the national historic landmark Key System Building, which was built in 1911 and shuttered after the 1989 Loma Prieta earthquake. This vacant corner lot, in the heart of Oakland’s downtown, has been fenced off for nearly 30 years. The project will create 500 jobs on-site during construction and provide office space for approximately 1,700 new workers once it opens for business, including employees of the University of California Office of the President, the anchor tenant. Construction is slated to be completed by December 2019. 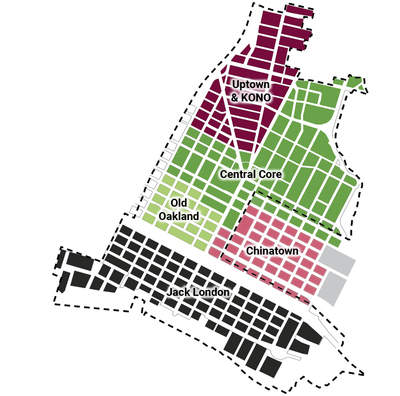 In February, the City will hold the next round of community meetings for the Downtown Oakland Specific Plan. These sessions will put the pencil in your hands as you show the design team where the problem areas and opportunity sites are in your neighborhood. Attendees will apply the input gained at earlier community forums regarding equity, development, arts & culture, infrastructure and housing to the design of specific neighborhoods. 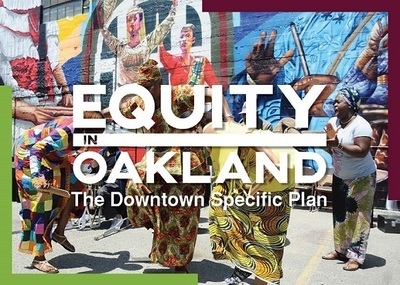 For more information about the Downtown Oakland Specific Plan, please visit our outreach page at https://www.eqtdto.com or http://oaklandnet.com/plandowntownoakland. Thousands of housing units are under construction in Oakland today, but the City also wants to encourage property owners to make affordable units available now. To meet the urgent need, Oakland Mayor Libby Schaaf and Oakland Housing Authority (OHA) officials announced new financial incentives for property owners in existing properties to accept low-income families as renters and help ease the city's affordable housing crisis. The new "Housing Oakland" program gives property owners who sign a contract with OHA, and allow a family to move in using Section 8 assistance, a $500 cash signing bonus and up to $2,500 in interest-free loans for repairs and upgrades. Issued by OHA, Section 8 vouchers help people with low incomes rent homes on the private market. To learn more about these incentives for landlords, click here. Oakland-based firms can get updates on local contracting opportunities and gain a competitive edge for contracts by registering with the City as a Very Small, Small, Local, or Locally Produced Goods Business Enterprise. The City's Contracts & Compliance division ensures that local businesses are preferred partners for City investments. This division is currently surveying local businesses on their previous experience competing for City contracts. 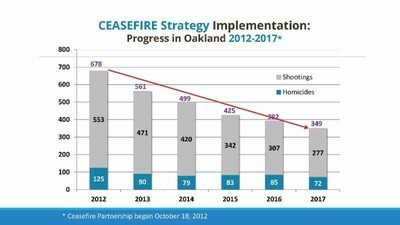 If you have contracted or tried to contract with the City in the past, please participate by January 31 at www.oaklanddisparitystudy.com. What do you remember about your first job and how it shaped your view about work? 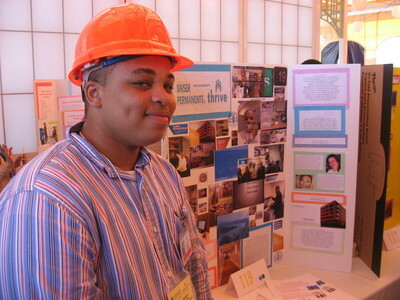 Each year, the Workforce Development Board supports the experiences of hundreds of Oakland youth to realize meaningful summer work experiences with local businesses. Your business can participate in this important work in 2018 as we aim to double the number of businesses who host interns this summer and beyond. To learn more please contact Christina Gutierrez at 510.238.6856 or email her at cgutierrez2@oaklandnet.com. Many thanks to Kaiser Permanente for their continued support and participation in the Workforce Development Board's summer employment program. Did You Catch Oakland at the Sundance Film Festival? Two of the most anticipated independent films at this year’s Sundance Film Festival, held last week in Park City, UT, were made by Oakland artists and are set in Oakland: festival opener Blindspotting, by Rafael Casal and Daveed Diggs, and Boots Riley’s Sorry to Bother You. Both films were immediately picked up for distribution after their festival premiere, so get ready to see Oakland on the big screen! The Oakland Film Office reported a 38% increase in filming days in Oakland last year. For more details on organizing a film shoot in Oakland, please contact the Oakland Film Office’s Jim Macilvaine. 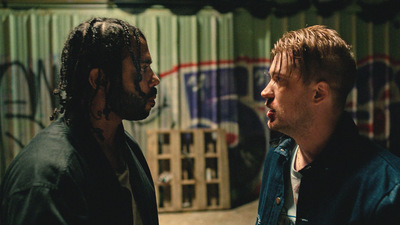 Film still from the movie Blindspotting featuring co-producers and co-stars Daveed Diggs and Rafael Casal. New Chow Cafe, Bakery, & Market Ready to Feed Oakland on Piedmont Ave. Developers Ellis Partners and Intercontinental Real Estate Corporation Break Ground on "The Key at 12th"
As Oakland evolves, its longtime farmers’ market adapts. Again.